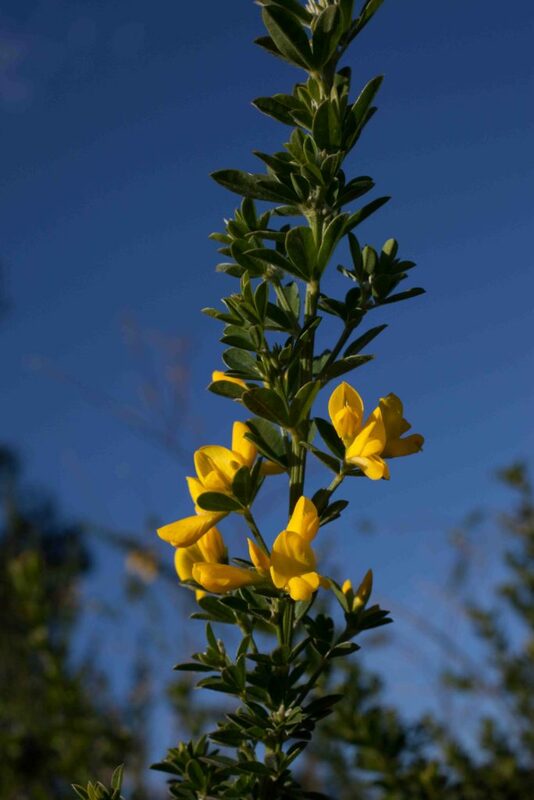 These are three highly invasive plants, French Broom having a particularly adverse impact on the landscape in parts of the Monterey Peninsula. 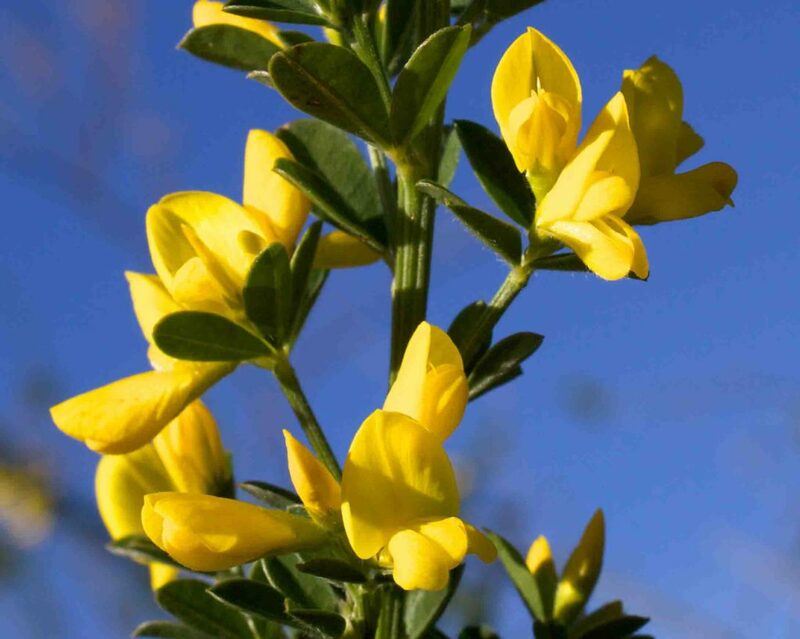 It should be eliminated wherever it is found no matter how pretty it may appear when in flower. 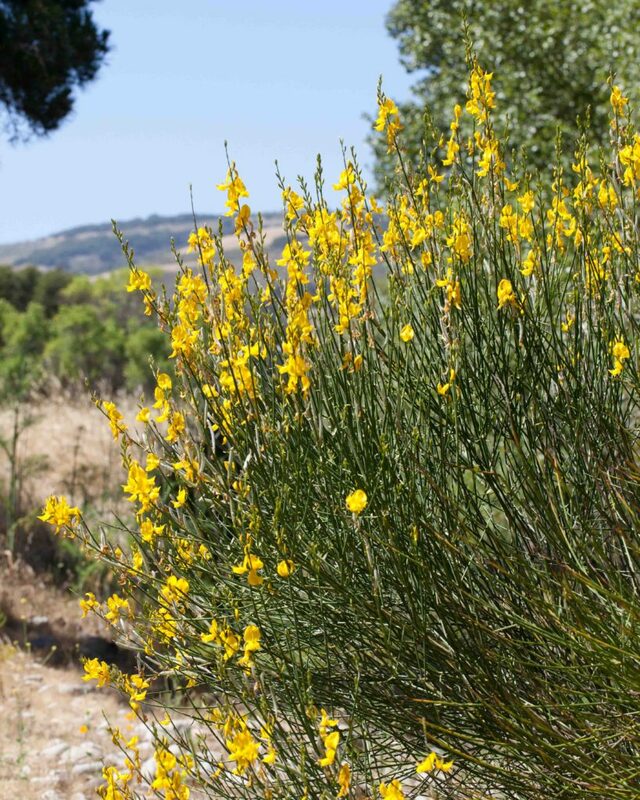 As indicated above, this is one of the most aggressively invasive plants found on the Monterey Peninsula. 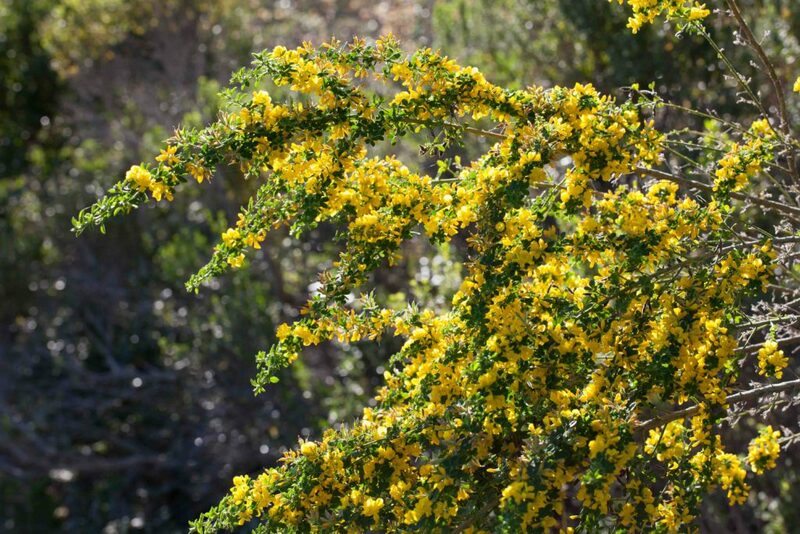 It forms a large spreading shrub with small, oval, evergreen leaves and a profusion of bright yellow flowers. Mature seed pods burst open scattering seeds over a wide area. 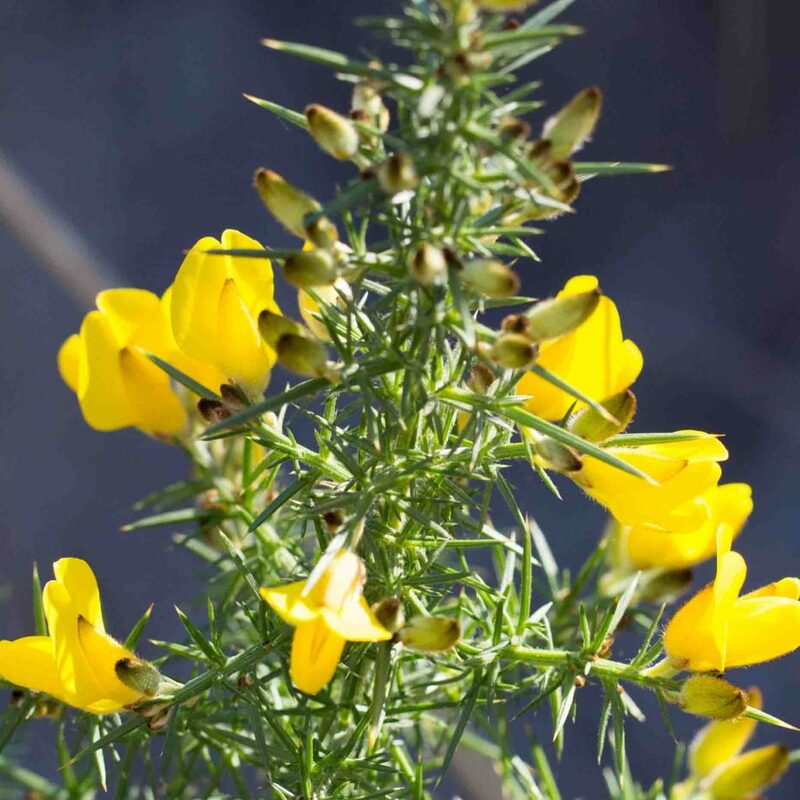 It is estimated that mature plant can produce 8,000 seeds in a single season. Young plants are easy to pull up when the ground is soft but eradicating it is extremely difficult and requires great persistence over a prolonged period. 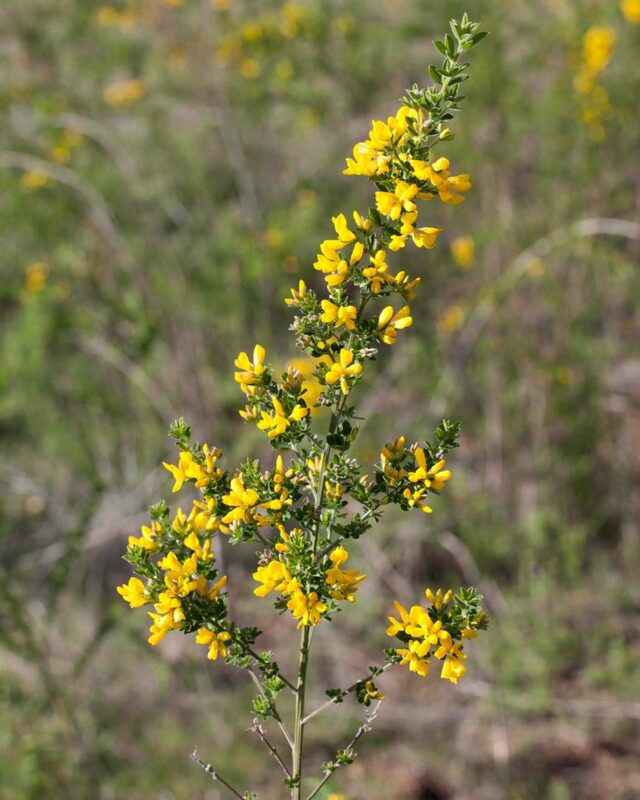 This has a distinctive appearance with its rush-like stems with only a few deciduous leaves. 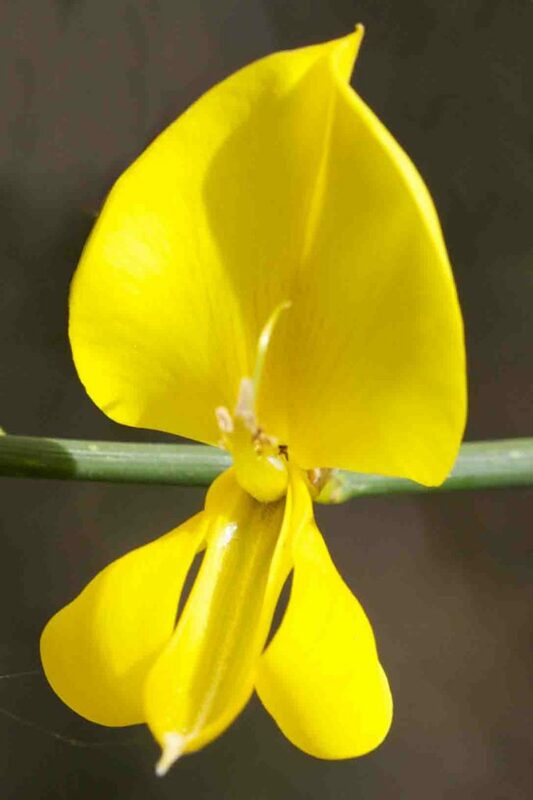 The flowers are larger than those of French Broom (Genista monspessulana), paler and more delicate. 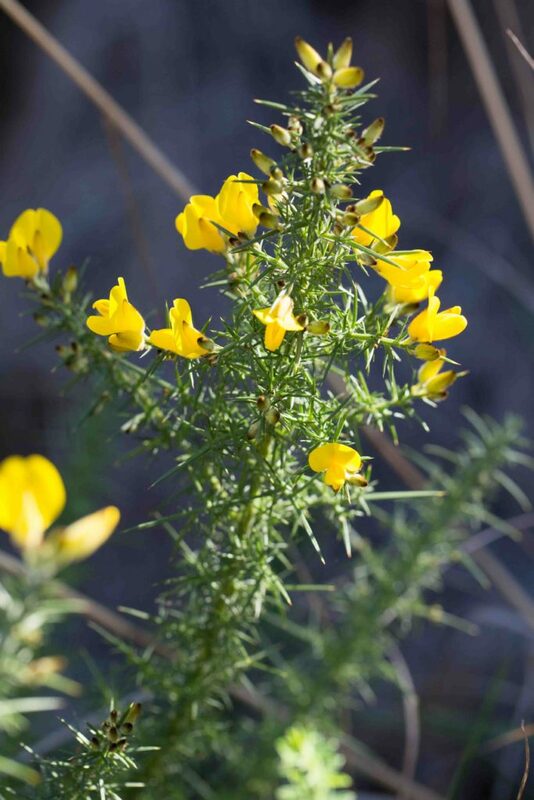 Another highly invasive species, especially near the coast, and a very unfriendly one. Twigs and leaves are modified into vicious green spines, 1–3 cm long. 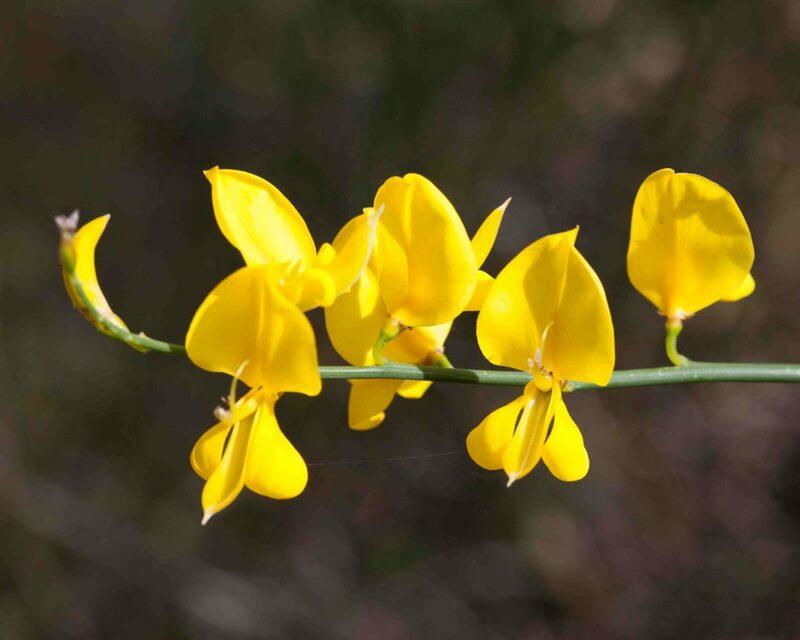 Flowers are like those of French Broom (Genista monspessulana). It sometimes lines the fairways in British seaside golf courses – a distinct incentive to keep one’s ball out of the rough. 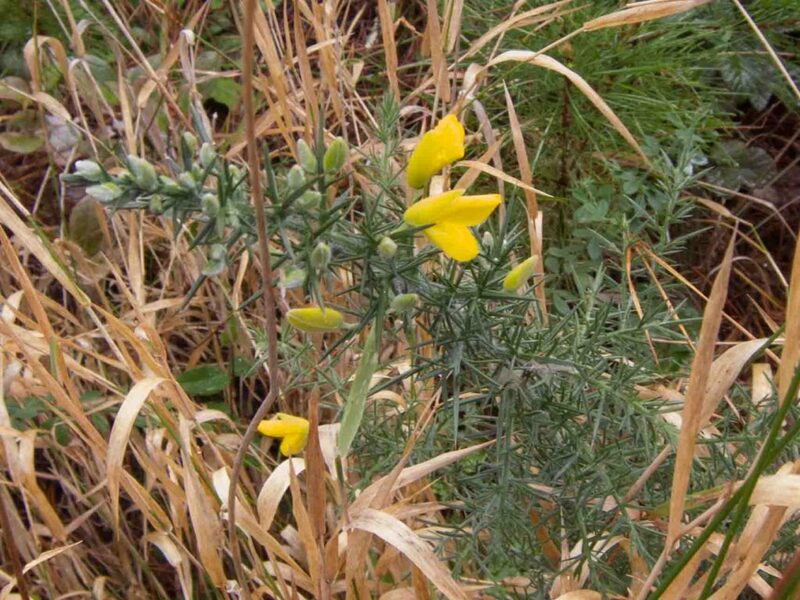 There is a saying in England “when the gorse is out, it’s kissing time”—a reference to the belief that gorse flowers throughout the year in its native habitat.